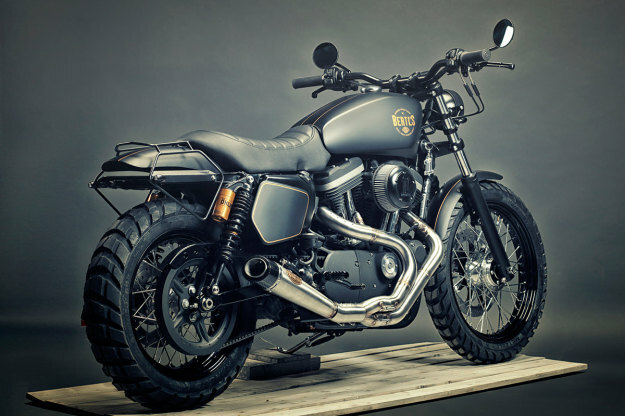 Unless you’ve been living under a lump of naturally occurring solid aggregate, you’ll know that scramblers are all the rage right now. And by ‘scramblers’ we loosely mean bikes with a go-anywhere attitude, upright ergonomics and retro-cool looks. 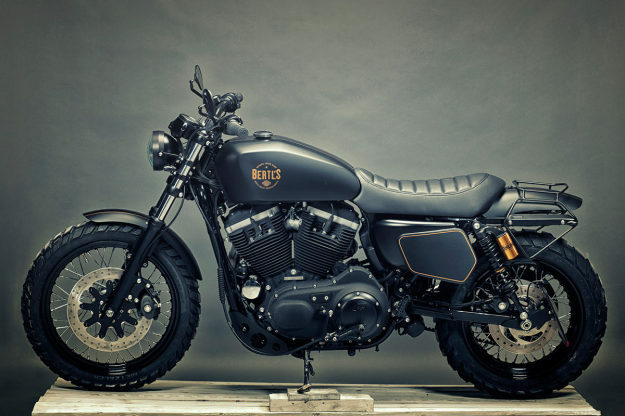 A Harley 1200 is not the obvious platform for this style. But some stellar Sporty-based examples have rolled out of garages lately, and this is one of the best. 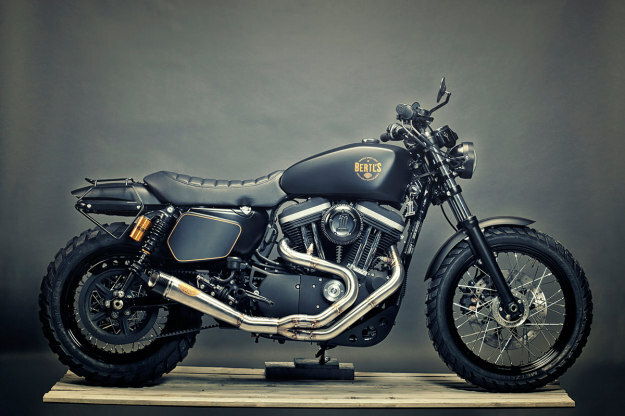 It’s from Renard Speed Shop, and it’s the Estonian outift’s first Harley build. 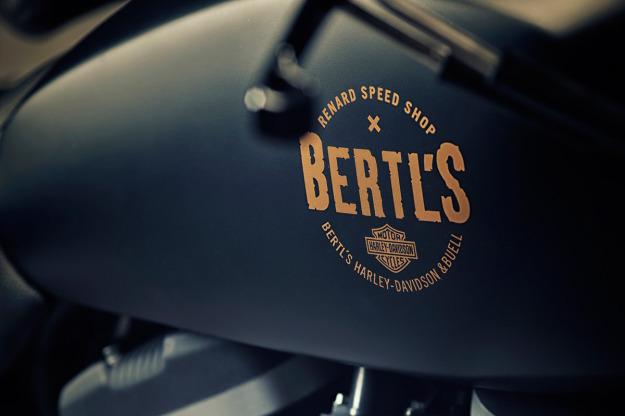 The commission came from Bertl’s, a small Harley dealer in South Germany. 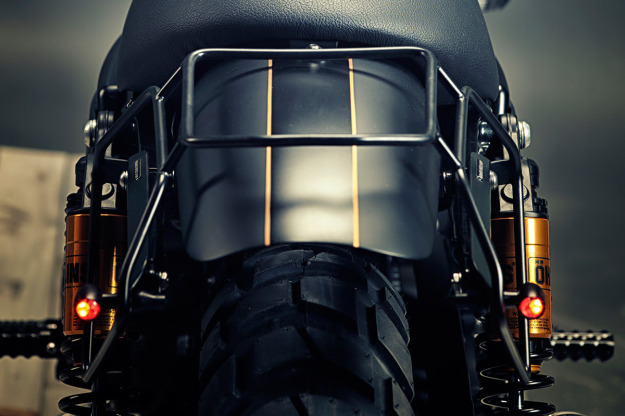 The Germans wanted a custom XL1200 for a bike show, and they loved Renard’s Bonneville T100 scrambler. Still, Renard managed to change the Harley’s looks substantially—starting with a completely custom fuel tank and seat. 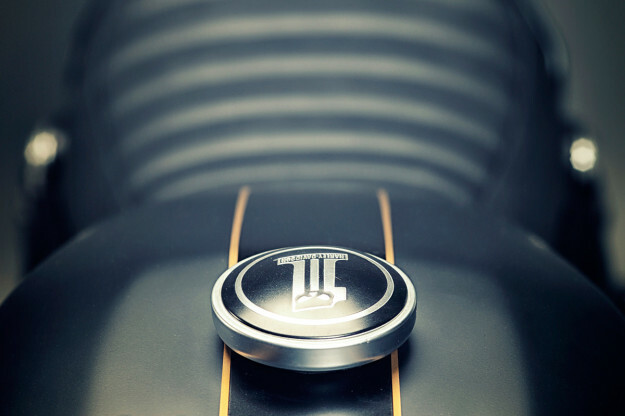 To match the new lines, they also added a set of aluminum side covers—hiding the stock side cover and oil tank. A set of 70mm longer-than-stock Öhlins shocks (anodized black) gave the Sporty a much-needed kick in the tail. Up front, Renard added a set of preload adjuster caps to the front forks. 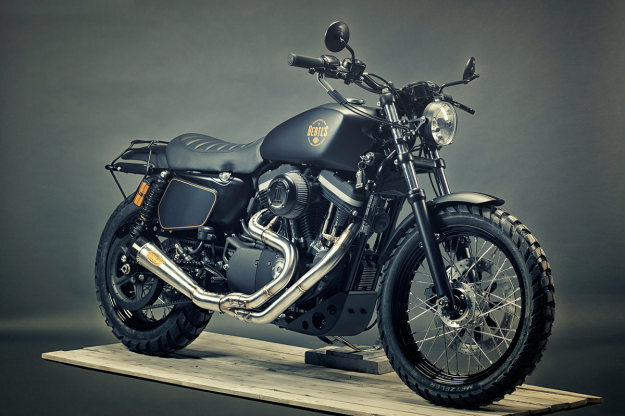 And the Harley now rolls on a set of Dyna spoked wheels—19” in the front and 17” in the rear, fitted with Metzeler Karoo3 tires. 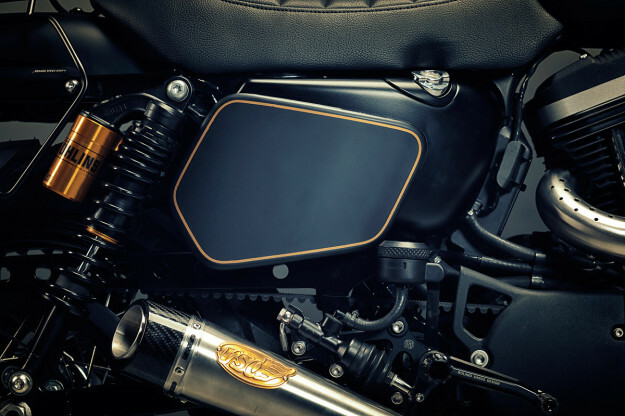 The stunning upswept exhaust—complete with carbon fiber end cap—is from Roland Sands Design, as are the rear sets. A new headlight bucket houses the stock HD element, while the turn signals are from Rizoma, with the rear pair doubling up as a tail light. Leaving the frame stock meant that the rear fender struts were now protruding beyond the new, slimmer mudguard. So Renard put them to use—fashioning a multi-purpose luggage rack around them. The whole project was wrapped up in just a month. And, true to the brief, the original frame is still untouched—so you could return this Harley to stock. Not that you’d want to, would you?